The Netherlands has found a way to refurbish existing buildings to net zero energy, within a week, with a 30-year builders’ guarantee and no subsidies. With new kitchen and bathroom! Now revolutionary renovation programme Energiesprong (literally: Energy Jump) is looking to take its learnings to France and the UK. Inside the house, the pounding rain stills to distant murmur. That’s thanks to the triple glazing, points out Ron van Erck, enthusiastic member of Platform31, an innovation programme funded by the Dutch government that brings together different actors for out-of-the-box thinking to crack intractable problems. One of its big successes to date is Energiesprong, an initiative that turns the building market on its head to deliver social housing with zero net energy consumption, i.e. no energy bill, at zero cost to the tenant and with no subsidies to the builder. Starting off in 2010 with three staff, a €50 million budget and five years to come up with something to make buildings more sustainable, Energiesprong today boasts 45 staff and a deal with 27 housing associations and four big construction companies to refurbish 111,000 houses in the Netherlands. Total investment? €6 billion. The initial focus is social housing, but it’s already looking at the private market, care centres and commercial office buildings too. How does the plan work? The basic trick is that tenants instead of paying their energy bills, pay a similar amount to the housing corporations that own the houses. With this money, the corporations pay building companies to retrofit the houses, which after renovation have net zero energy costs. The building companies have for this project developed ‘industrialised’ renovation procedures that are highly cost-effective. One important difference with existing renovation projects is that all elements that are needed for a successful move to zero-energy housing are brought together in one plan. Energy Post’s Sonja van Renssen met with manager Jasper van den Munckhof, to understand exactly what Energiesprong does, how it does it and why it will succeed – in the Netherlands and elsewhere. Q: What was your starting point? A: We started off with what we spend. 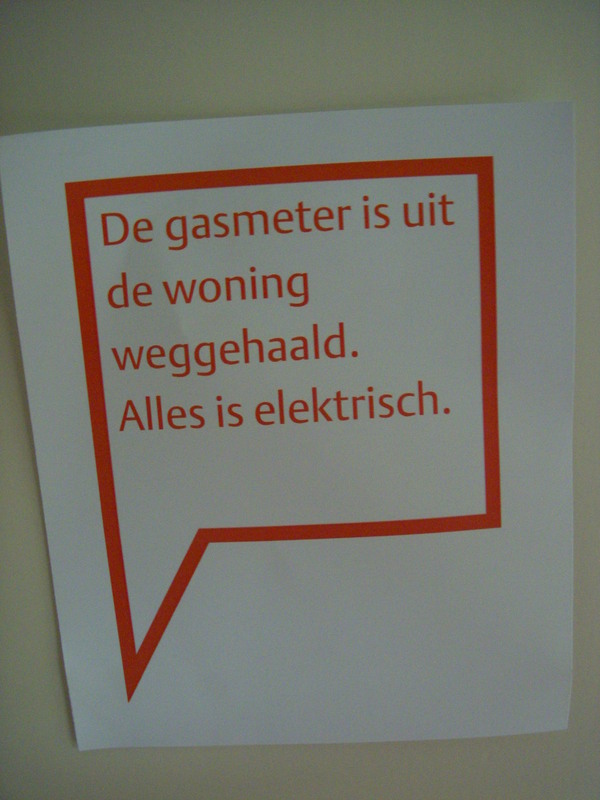 The household energy bill in the Netherlands is about €13 billion. This money is available. If you spent it on a mortgage or payback on a loan of about 30 years [instead of energy], you have €225 billion to invest in the Dutch housing stock. This is substantial money: €30-40,000 per house to make it energy neutral. The trick is, how to get this money flowing. We tried to imagine what owners would need to start investing. They buy kitchens and they don’t see this as an investment but good for their family. You need to get this focus on people and how they buy stuff, how they accept things. If you lose that focus and think it’s about financial arrangements, you won’t find a solution. Q: So what will make people spend money on retrofits? A: It needs to be very well done, like if they buy a car, they buy a decent one. It has to be fast – the problem with retrofitting (vs. buying new stuff) is that it’s usually a lot of trouble, dust and hassle. So we said one, the retrofits have to be done within a week. Two, it has to be affordable: ideally the cost to the tenant before and after should be equal. That means the energy bill converted to the mortgage or extra rent has to cover the full cost of the retrofit. Three, it has to be attractive. It needs to be something you see. At lower-level retrofits it’s all about new boilers (stowed far away) and cavity wall insulation (invisible) – these are more rational decisions but you want to tune in to more emotional decision-making. Q: We often hear about the difference between “shallow” and “deep” retrofits. How deep do you go? A: The deepest you can get. If you want to have an energy performance warranty and you do half the house, you’re never sure how much leakage you have in the other half. If someone wants to give a guarantee – and they’re becoming very important if you do big investments and you want a loan – you need to do the whole thing: installation, insulation, ventilation, air tightness etc. The building gets a whole new envelope. When the builder is fully in control, that’s when they start being able to give guarantees that even insurance companies are willing to insure. We found out that “zero on the meter” is the only thing you can get a performance guarantee on. That’s why we focus on that deep retrofit. Q: What changes does it imply for the building sector? A: The building sector today is based on craftsmanship. That needs to change. You need a building sector which will tune in to a more productised, industrialised sector: you have consumers who buy really big stuff for their houses and you have housing associations which now say to a builder “I want you to do this”. There is scope for a prefab approach. If you go into the companies and the change they need to make, it’s not superficial, it’s a different product, a different business model, different people, and it will take some time. But it also creates work at home, in your own country. You have to see it from the perspective that the building sector is the last sector that is being industrialised. We have the ideal housing stock for this transformation in the Netherlands: 2.4 million houses of a similar typology – terraced, 4-story blocks and high-rise. It’s the perfect platform for industrialisation. Yet every house has a window in a different spot, a different door or a slightly different width. What you really need is a mass customisation process. It shouldn’t be like cars – we simply shovel them out and sell them. You need a process for measuring, making, placing and maintaining these houses. Q: Is it a way out of the economic crisis for builders? A: One of the big incentives for the government is that if the retrofits fall into sync with normal market mechanisms and reach 50-60,000 a year as announced, times €50-60,000 per retrofit, equals enormous new turnover for the building sector. If you want to reach your 2050 climate and energy targets, you even need 100-200,000 retrofits per year. On top of that, there is bigger profit potential. Now builders probably make about 1% profit but a 10% profit margin will not be strange in future. A lot of smaller builders will either become installers of retrofit packages or go out of business. The installation is not that complicated. He might not know what’s in there, but he will know how to install it. We say to builders your biggest competitor is not your fellow builder but energy companies. Because it is their money you can use to get your revenue going. I think builders now understand it’s not about getting back to business as usual. They have at their disposal the €13 billion a year which customers spend on energy. That now becomes their market. It’s a completely new pool of money they can tap into and it’ll probably double or triple the pie they have to share amongst themselves. Q: Do you see energy companies entering this space at all? A: No. This is completely not their core competence. They have a few dynamics which makes it very hard for them. One is that they’ve been based on big projects where they can make a return on investment of say 10%. But this is small projects, not one big installation. They’re just not ready for this. If they want to do it, they can probably buy a building company. But it just doesn’t fit into their whole big system thinking. Q: Do builders have the necessary energy expertise to make decisions over more insulation vs. more solar panels for example? A: It’s true that the installers decide the package. The question is good – they don’t know how to do this but they’re very willing to learn. The four construction companies we’ve partnered with said they need a certain volume [of retrofits] to get an ROI on this learning process. That’s what the social housing associations provide. They are also building prototypes to learn how to do it. Then you see it’s not only the building but the whole supply chain that needs to change. Q: What are the changes for suppliers to builders? A: If you’re a lighting company and you want to get into the car industry, you’re not going to think of a new light, you’re going to look at a Mercedes and ask ‘how does a light fit into this package?’ What you want for the building suppliers industry, is for them to look at a [retrofit] package and from there on start innovating. If builders are often small, building suppliers are big companies with innovation potential. You want them to think about whole components, not just the materials going in. Q: Are you on track with the whole programme? A: We will build 300-350 prototypes this year. It should have been 1000, but the rollout is slower than we originally envisaged. That’s for a number of reasons. One is that we’ve got more a demand-led approach – normally you would go into an area, convince 70% of the residents to accept a retrofit (that threshold is set by the government), and then do the whole area. So you might do 150 houses after a 3-year communications campaign. But we wanted to move faster. So we’ve gone in one-by-one, row-by-row. It’s a bottom-up approach. We also realised that these are prototypes that people actually look at. So they have to be really good – better than we initially thought – which takes the builders a bit longer. We also need a law to be changed. That law is now in Parliament. It’s a small change but it will mean housing associations can give an energy service to a renter – this was not possible before. The whole business model is only possible with this change, which will probably only happen in mid-2015. We can test on a smaller scale now, knowing that the first 1000 prototypes will be ready by then. And finally, apart from the usual administrative delays, nobody knows exactly when the price point for a zero net energy conversion at zero net cost to the tenant will be reached. Q: At what point does all this become commercially viable? A: For a typical terraced house, builders need to reach price level of about €60,000 including new kitchen and bathroom (or €40-45,000 without). We’re now on about €70,000 and for every project to date you’ll see about €10,000 added on top of that for asbestos. But we’ve already come down by 40% compared to the first pilots nearly three years ago, while going from a 50% energy improvement to net zero energy. The positive side is also that we’re starting to do high-rise buildings and the prices are a lot lower there. All the builders believe they’re going to make it. Q: Where is the biggest remaining potential for bringing down costs? A: The “control box” behind the house that they’ve invented – that’s something you can get suppliers to innovate [more] on. That’s the plan from now. We’ve said that if builders as general contractors can define the required performance of components, we will help them get the right price from suppliers. That’s the next step, organising demand from builders. A: What we did with housing associations is a stepping stone to the private market. At the end of September, we are closing a deal for private homeowners. We cannot guarantee the same volume, but we have 40 municipalities who are going to reach out to people, 20 energy cooperatives who will go to their members, 4 major mortgage banks who are willing to put up an extra €45,000 of mortgage on top of the regular limit if you buy these guaranteed energy-neutral propositions, 3 major surveying associations which will give energy performance a place in their surveying (they don’t today), and 7 retrofit shops that say they will sell the retrofit packages. And about 25 more construction companies want to learn. That’s how we are trying to scale up. After that, I’d like to prove that what we are doing with similar houses, you can do with any kind of house. You need a different package, but I am quite sure it’s possible. This can be a €200 billion a year market. Now we have plain vanilla, but we can tune into different desires and societal problems we need to solve. Q: Are there any other policy changes required for Energiesprong to realise its full potential? A: You have to differentiate mortgages against the energy performance of houses. Now you have a loan-to-income ratio that doesn’t take into account that one house will cost €40,000 more in electricity bills over the next 10 years. Once you differentiate that mortgage, you will differentiate the prices of houses because there is a strong correlation between house prices and the mortgage you can get for them. It’s not actually a law but every year, the Minister announces how mortgages will work. 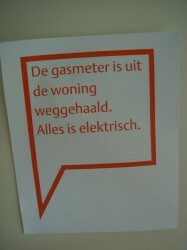 You could also align them with energy labels e.g. a G label will have a lower loan-to-income ratio. It would be a revolution. At the end of 2014, the government will next set boundary conditions for what banks are allowed to do and they need to be wide enough for this. We already have €13,500 extra available to make new-build energy neutral. What we need for net zero energy refurbishments is a differential of €45,000. Q: Do you see support from EU policies to improve the energy efficiency of buildings? A: Policymakers are very big believers in their own policies. But with energy labels, mandating ESCOs [energy service companies] etc you’re never going to reach your goal of energy neutral buildings by 2050. You’d better target one big retrofit per building over 40 years than try out 20 small patches. The main thing policymakers have to become aware of is that their own regulation is actually holding back these bigger steps. Q: After the Netherlands your plans now are to expand into the UK and France. Why these? A: We saw that there is a big political urgency to retrofit in the UK and France. They also have strong housing associations, a decent volume of similar houses and a professionally organised building sector. Going to the UK and France means huge volumes for building suppliers. Unlike local builders, the big material and component suppliers are pan-European. A lot of them need a bigger scale before they will innovate. Bosch will not get involved for 100,000 houses, but it will for 500,000. We have requested €10 million in EU funds to help us get started in the UK and France. The European Commission will discuss this bid for a slice of its Horizon 2020 programme for research and development in the next weeks, for a decision in early November. We looked at Germany, Spain, Denmark, Sweden and Belgium too. Spain was possible but mostly high-rise, privately-owned share holds, and in a difficult financial situation. 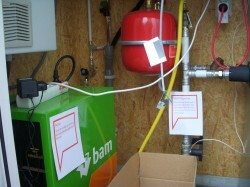 Denmark has a lot of district heating – which you will bankrupt if you take off 20% of connections through such retrofits. And since the district heating companies are [often] owned by the municipalities, that’s a problem. Belgium had political challenges. And Germany has a much higher quality building stock and they’re quite partial to solving problems with regulation. The Brits, in contrast, are more market-based and in France, Hollande made a promise to refurbish 500,000 houses a year from 2017 that he is looking for good ideas on how to fulfil. Q: What about Central and Eastern Europe, where we often hear the potential for energy savings from buildings is highest? A: I’m not sure it’s the place where you want to develop it, but sell it, yes. The panel block flats there are perfect. 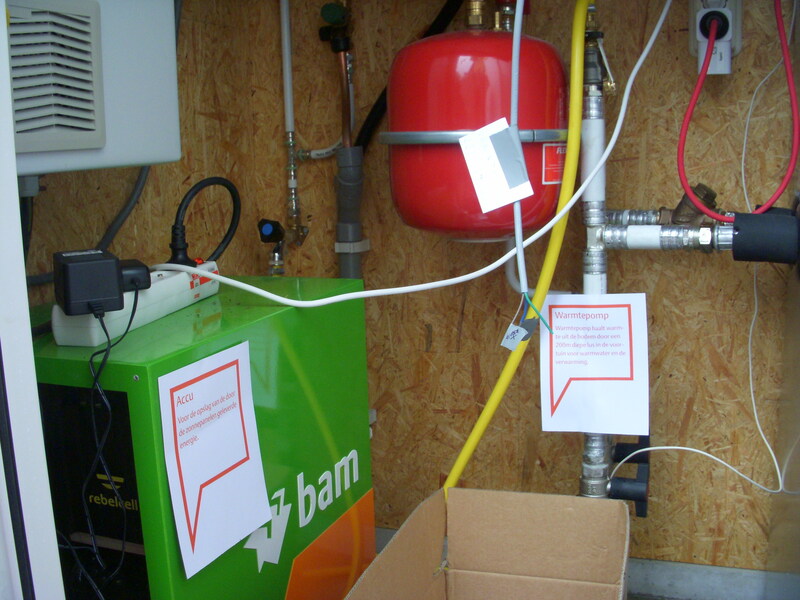 Although you also have quite powerful district heating networks… Five years ago, the only way to cool your house was to open the window – there was not even a closing valve on the radiator! In Eastern Europe, there are many spots where people really pay a lot for energy though. I would be happy to go from France and the UK, via the suppliers. They could go to local builders in Poland and so develop it there. A: That people live in better houses, are not dependent on energy anymore and have power over their own energy. Energy became so politicised… who do you know who drives in a 1970s car? In housing stock, it goes a lot slower but you need to get them to 21st century also. 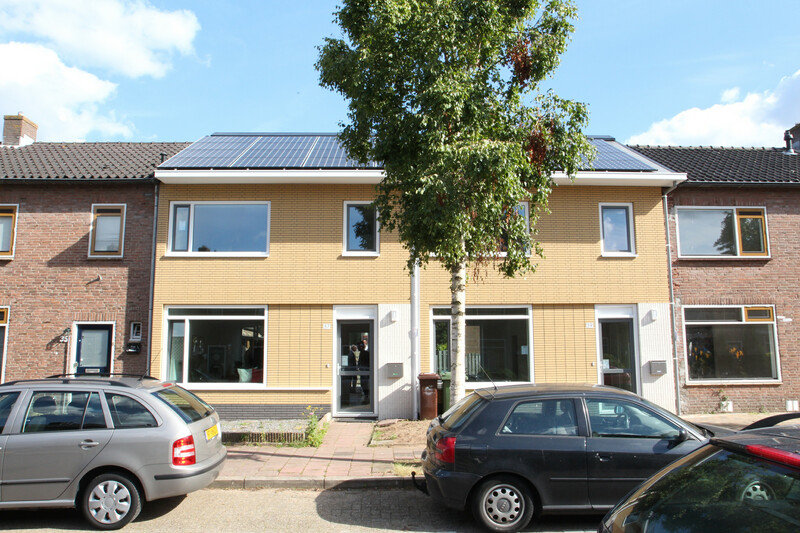 I understand that the Dutch houses renovated are zero energy over the year, being net electricity exporters from their solar panels, PV, in summer, and importers in winter with much reduced PV output AND elec demand for air source heat pump. With the current Dutch net metering arrangements this works fine financially for the house occupier, but if this model is rolled out large scale, even if the elec suppliers survive financially they will not necessarily be able to supply carbon free elec in winter. We need to consider zero carbon from a holistic view which would likely involve a substantial contribution from wind power which peaks in winter, AND large scale elec storage over months, currently only available from pumped hydro using large lakes. So this approach would work well only in mountainous countries such as Norway, and Austria and mountainous regions such as Eastern France and Scotland and Wales. Relying on PV and heat pumps works under net metering for the householders, but on a large scale gives an unworkable mix of renewable energy sources. So the implication of my earlier comment is would a deep retrofit excluding solar panels, i.e. a big reduction in energy use, but not “zero energy”, still pay for itself over a 30 year mortgage? This is a question which Energiesprong UK must be investigating since the UK now or very shortly will have no significant subsidy for solar panels. (Net metering is a subsidy for PV since a householder can sell low value summer elec to the elec supplier at the same price as she buys high value winter elec).